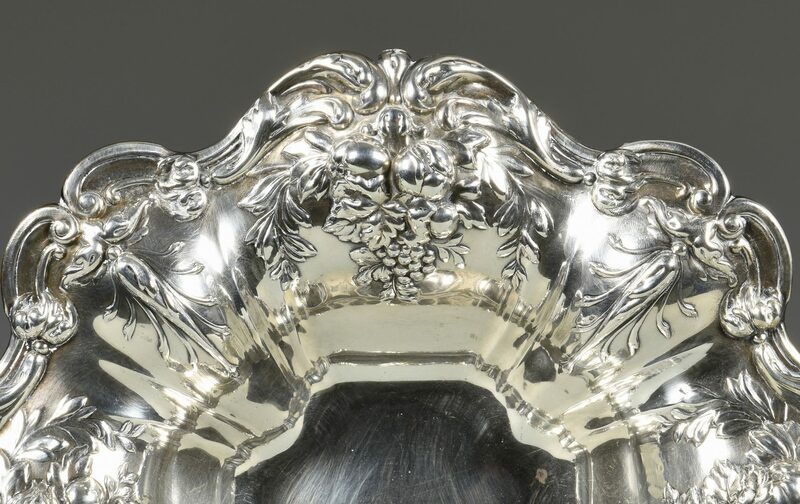 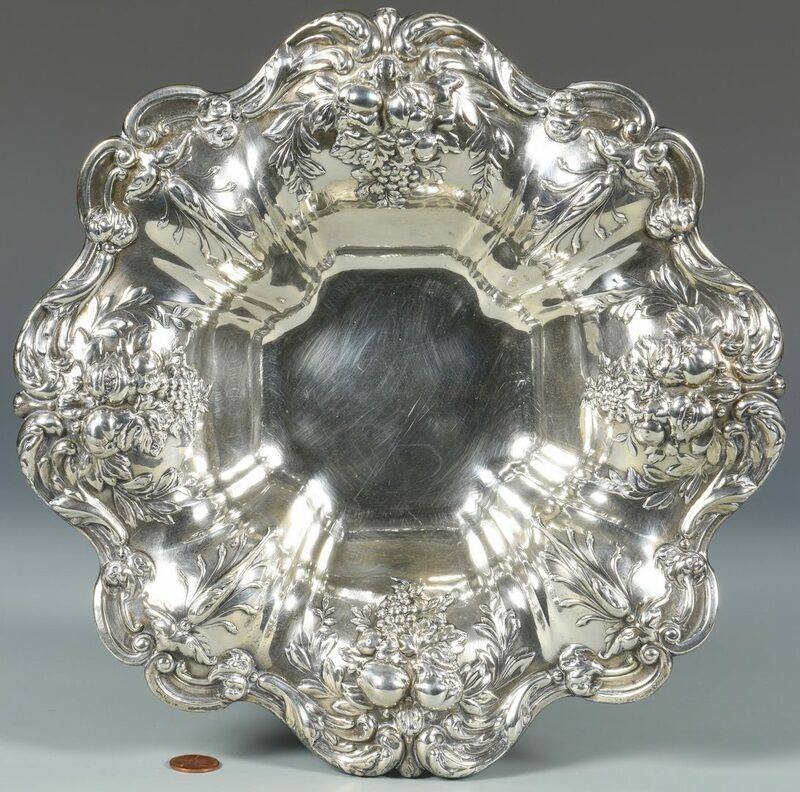 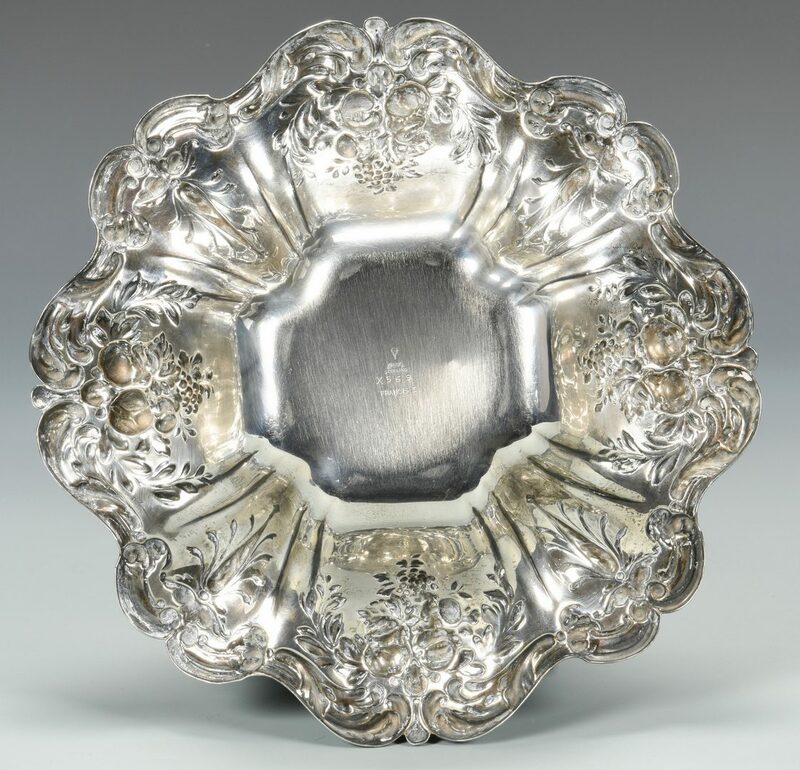 Reed and Barton Francis 1st sterling silver center bowl, repousse fruit clusters and swag design with scalloped edge, marked on base: X569. 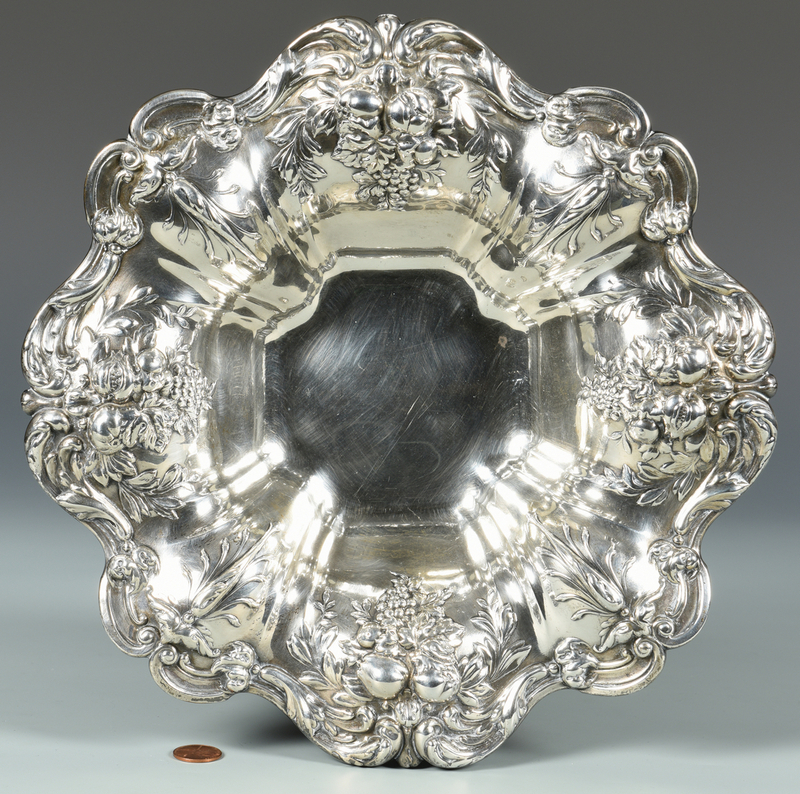 2 1/2″ H x 11 1/2″ diameter. 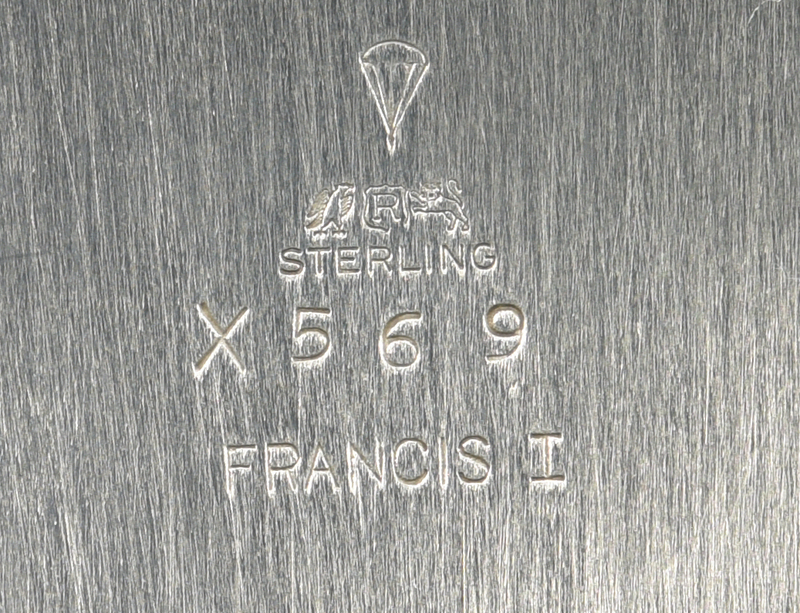 20.655 oz troy. 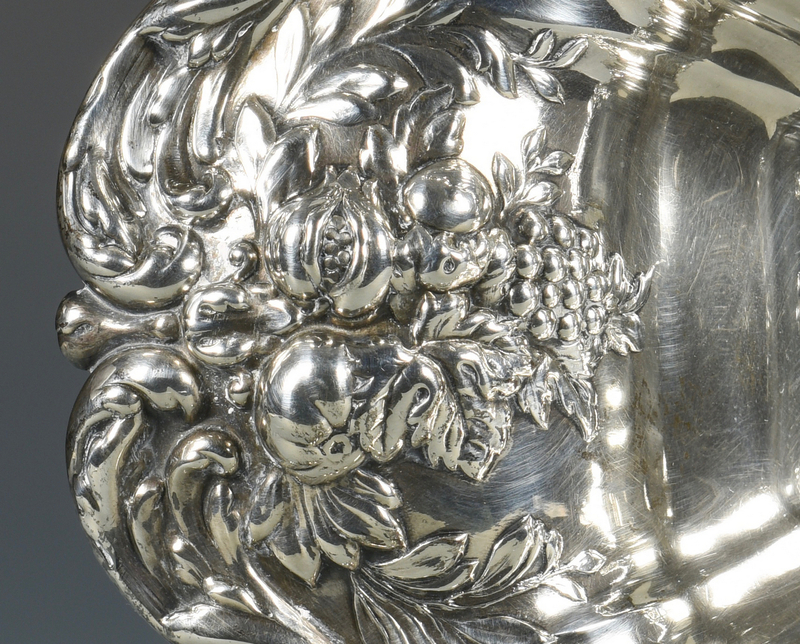 CONDITION: Overall very good condition with minor surface scratches in center of bowl. Not monogrammed.